Been playing socially for 5+ years and also an advanced baseball player. Our complex has a court and we play a strong doubles game from time to time. Always looking for a 3rd and 4th to challenge... Male or female as long as skill level above average. Looking to get back into tennis after a few years break. Need a hitting partner ideally available weekday mornings. Rockdale Hurstville area. Have played on and off since School and junior comp, now playing once a week in an advanced clinic at Manly Vale. Now retired with young children in school so keen for a hit around north shore or northern beaches preferrably during school hours. I am tennis coach for Georgia worked Turkey. U.A.E.Ukraine .U.A.E. Hey guys looking for a sparing partner been out of the game for some time due to injury now keen to play again I’m happy to simply rally, drill or even match play I just wanna hit the bloody ball. Willing to travel. Weekends for now are my best times. I have been playing occasionally since one year. Decent skills between beginners to intermediate level. Happy to play after 6pm on weekdays and anytime on weekends. I live closeby to blacktown leisure centre in stanhope gardens but also happy to travel range of 30 mins drive. Happy to book court at a mutually convenient place. I used to be an advanced player but I’ve had some injuries and haven’t played in a few months so I’m open to some hitting with intermediate/advanced players. I can’t play full matches but one hour hitting sessions would be great! As of right now I’m available at almost all times. 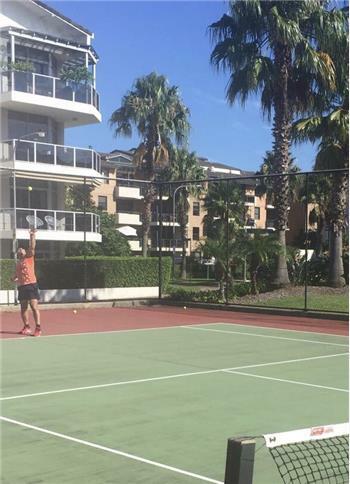 Locations relatively near Bondi Beach/junction are most convenient, but I love tennis so if it’s a little farther I might be willing to travel! Hey guys, looking at hitting with someone that can rally Nice easy hit ? ?